TED is an influential website committed to addressing all sorts of topics, involving business, education, creativity, science, culture, etc. often in the form of storytelling. Just as its slogan "ideas worth spreading", TED inspires you in unique manner based on your own interests. Now, you can stir your curiosity with any TED Talk online as more than 2600 TED Talks are offered availably on the website free of charge at present. However, not everyone likes enjoying TED Talks online. Here we will show you how to download TED Talks with 4 possible methods. In this case, you can easily view what you download locally at any time even without Internet connection. Just like other video-sharing platforms, TED also offers default "Download" button for some TED Talks. If the one you like come with such handy option, you can directly download it to your computer’s local folder. Better yet, this straightforward method also gives liberty to download TED Talks with English subtitles or any language you like, up to 100 kinds. Usually, the TED Talk downloads are in 480P file size. As long as you have known the topic of your favorite TED Talk, you can go ahead to TED quick list page to choose it. This TED list contains every talk published on TED.com and is supportable to download whichever you need. Most important of all, you are allowed to choose your preferred download size, including Low, Medium and High. That is to say, different size refers to different TED Talk video resolution. Do it in the way you like. In addition, TED downloader gives you significant support to download required talks. 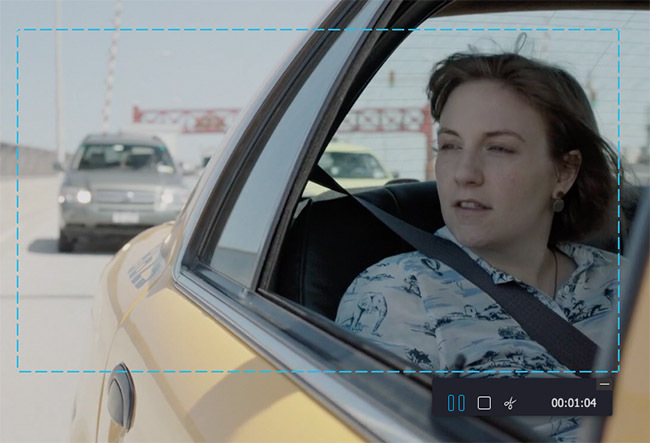 By this means, video quality can be chosen in flexible way. What you need to do is just to select the download folder, tap on "Update Links", selectively mark the TED Talks you would like to download and hit "Get TED Talks". Surely, TED downloader is able to help download multiple TED Talk videos at a time. But it still doesn’t support pausing and resuming your downloads. 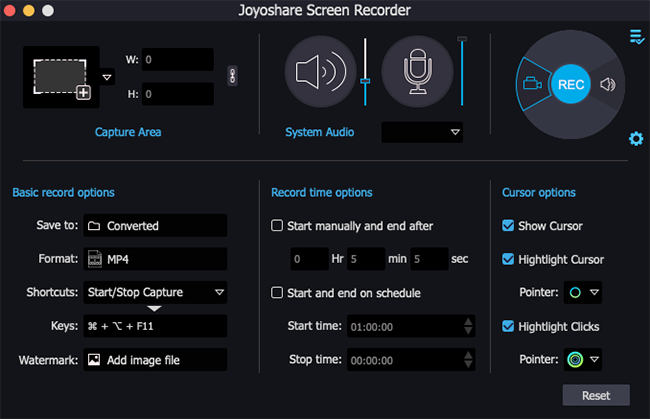 Joyoshare Screen Recorder is a typical desktop capture developed to record any onscreen videos and audios in high quality. Aside from TED Talks, it is also good at recording Twitch Streams, class lecture, Skype calls, Facebook chats, iPlayer radios, online gameplay, Netflix movies, etc. Under the help of it, you can create scheduled task, grab system audio, specify format configuration, trim finished recording, skip unwanted section, etc. Here's how it performs to download TED talks. Simply get Joyoshare Screen Recorder launched on your computer. Go straight to "record video and audio" button next to the red "REC" button, which can do a good job in capturing and downloading video from TED website. Go for "Capture Area" to select a recording area by hitting the "+" icon to set a pop-up adjustable window or simply choosing a preset fixed ratio from drop-down menu. After that, you can press the "gear" icon to unfold all recording settings and confirm them one by one. You can decide whether add effect to cursor movement, insert image watermark to TED Talk, grab microphone sound, etc. Considering everything has been confirmed, you can head to TED.com to play any TED Talk you like and at the same time click on "REC" button on Joyoshare to start recording process, during which you can cut recording, take snapshots and skip useless parts as you wish. The completed TED Talk recordings will be kept in "History" list. It allows you to review file name, position video location and edit recorded talks at your own will.